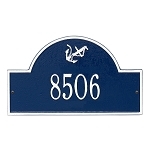 This beautiful address plaque is hand-crafted from rust-free recycled aluminum. Paints have been specially formulated and weather tested to withstand the harshest of elements. Wall style with one line for the address. Mounting hardware provided. 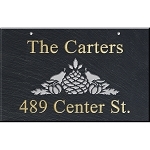 The beauty of this plaque is the decorative accent. 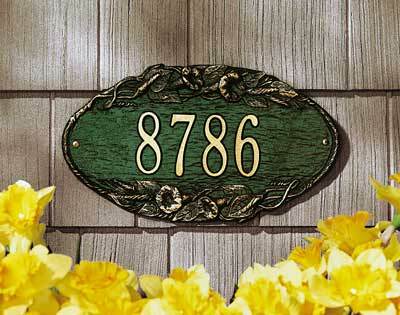 The color from the lettering is applied to highlight the decorative accents. 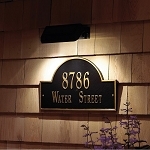 Very nice touch for those who want a decorative plaque with a custom look. Made in USA.